Bio Notes: Margaret Jean Sutherland Love was born on 3 July 1912 and attended day classes at Glasgow School of Architecture and Glasgow University from September 1931. She graduated BSc with Honours in Design in September 1936 and was admitted ARIBA on 10 January 1938, her proposers being Thomas Harold Hughes, William James Smith and Alexander Cullen junior. 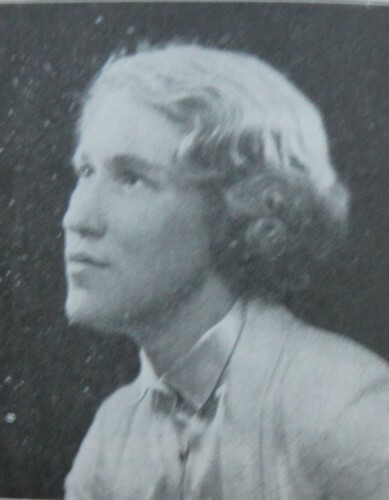 At the time of her application for admittance in November 1937 she was working in the office of Wylie Shanks & Wyllie, and her nomination papers state that she had supplemented her academic training with practical experience in architects' offices, but do not specify the offices to which this refers. By 1950 Margaret Love had married, her surname then being Gardner. She remained in Glasgow until about 1979 but died between July and September of that year in Colchester in Essex.